Muscles build up when we lift weight and push them to limits. But, only lifting weight will not serve the purpose. Proper balanced diet is very important for proper growth and muscle gain. We have listed some tips that will help you build up muscles. Tip 1 :- Divide your day diet plan to six small meals throughout the day. When we eat three heavy meals a day, the metabolic system of the body is forced to do more work within less time. This slows down the metabolic system and leads to improper functioning. When we eat 6 small meals, our metabolism stays busy and does not feel pressure. This keeps the metabolic system up to par and helps in gain muscles and loses fats. Tip 2 :- Proteins are most essential when it comes to building quality muscle mass. Since body also needs energy for optimal functioning. So, appropriate amount of carbohydrates are also required so that protein get utilized just to build muscles. As per experts, 30 grams of proteins as well as carbohydrates per day are sufficient in each meal you take. Tip 3 :- In order to get small quantity proteins from our diet, we need to consume large amount of food. Also, we need to keep proper track of each content contained in the food we are eating. Bodybuilding supplements are good alternate to this as they are in extracted form, so you consume less and get more. These are specially designed for the very same purpose. Also, it is easy to get the details of the nutrients from the content table on them. So, you will be able to consume right amount of nutrient required for muscle growth. Also, you get options for focusing on other quality nutrients that are not present in the supplements. Along with a balanced diet, these supplements can be great help to you. There are many supplements in the market at present and you should take the advice of your trainer or physician before using them. Tip 4 :- Stay away from simple or bad fats. Basically these are the carbs present in beverages, soft drinks, candy etc. These sugary carbs tends to raise the blood sugar level in the body that leads to accumulation of fats in the body which is not good. 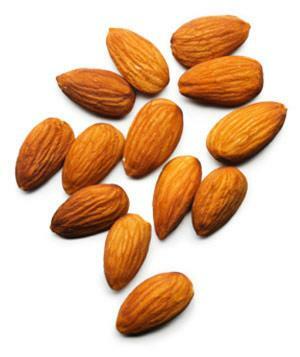 On the other hands, bad fats provide you instant energy that stays for very short time. Soon your body energy level falls down to initial point. So, it better to avoid these bad carbs. Tips 5 :- Avoid bad fats as they can make you look bulky. Bad fats are found in fried foods, junk foods, fried chips, butter, animal fats etc that adds up a lot of calories to food and body. These fats are as it is stored inside the body and are never used by body for any purpose. Body does require some amount of good fats for proper functioning. These good fats are present in foods like olives, peanuts etc. They provide you energy by breaking down while you perform your workout or any other physical activity. Tip 6 :- Eat small meal 30 minutes prior to going gym. These meals should contain good amount of complex carbohydrates and proteins. Complex crabs provide long lasting continuous energy flow by braking down slowly while you perform physical exercise. Proteins help in compensating and building in the broken muscles tissues during workout. Tips 7 :- After your intense workout, it is very important to consume about 50 grams proteins within 20 minutes of your workout. Since the muscles are broken, so they need proteins to rebuild as well as grow in size. Appropriate amount of protein ensure good muscles growth. Along with proteins, your supplement should also contain good carbs that will help in release of growth hormone and to stabilize the blood sugar level. Tip 8 :- Water is very important and plays a vital role in the muscle development process. Our muscles are 70% water. Body burns a lot of calories when we do intense training. When muscles burn calories, some of the waste is left behind in tissues. Body utilizes water to flush this waste out. This keeps muscles healthy and clean and ready to burn more calories, boosts up body metabolism. Note :- All these tips will help you gain quality muscles. Remember to train in the presence of a trainer.